Alive & Thrive (A&T) is a global nutrition initiative to save lives, prevent illness, and ensure healthy growth of mothers and children. From 2009­­–2014, A&T demonstrated that rapid improvements in infant and young child feeding (IYCF) are possible in settings as diverse as Ethiopia, Bangladesh, and Viet Nam. In 2014, A&T began working in Burkina Faso, India, Nigeria, and throughout the Southeast Asia region, expanding its scope to include maternal and adolescent nutrition, and using agriculture and social protection programs as delivery mechanisms for maternal, infant, and young child nutrition (MIYCN). Currently, A&T is leveraging its robust network and knowledge base to strengthen systems and build capacity in these and other countries across Africa and Asia, and disseminate innovations, tools, and lessons worldwide. Alive & Thrive is managed by FHI 360 with funding from the Bill & Melinda Gates Foundation and other donors. See What We Do and How We Work for more information. Thomas oversees A&T’s country programs in India and Bangladesh, as well as regional activities in South Asia. Thomas has over two decades of experience in strategy and management across public health and life sciences. Prior to joining A&T, Thomas served as Deputy Director for strategy, planning and management for Tuberculosis and HIV at the Bill & Melinda Gates Foundation, where he also led an initiative to improve the use of cost effectiveness data in decision making. Thomas started his career as a strategy and management consultant to the life sciences industry. Zeba ensures technical excellence in the design, implementation, follow up, and analysis of A&T activities and partnerships in Bangladesh. Her previous experience includes working for the BRAC Institute of Global Health and the Micronutrient Initiative in Bangladesh. Early in her career as a medical professional, she performed preventative and clinical services in rural communities and has published several papers on nutrition. Abdullah has been working with A&T since 2010 and he brings over 15 years of experience in contracts and financial management to the project. In his role with A&T he manages contracts, sub-grants, and procurement, while also supporting field operations and ensuring compliance with Government of Bangladesh policies and regulations. Prior to joining A&T he worked for USC Canada and the Coalition for the Urban Poor. Deborah provides technical assistance on MIYCN across A&T’s India, Bangladesh and SAARC activities. Deborah has over 20 years of experience in capacity building, policy, and research experience, including designing, managing and implementing large-scale global projects across a wide network of stakeholders. 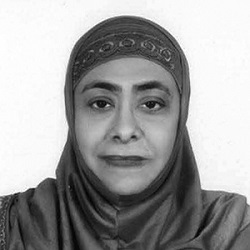 She has led technical strategy, program design and quality implementation of global nutrition technical assistance projects such as USAID’s FANTA-2 and FANTA III. She has worked with a multiplicity of partners, including the World Bank, WFP, WHO, UNICEF, UNAIDS, FAO, and the Global Fund. Deborah is an expert advisor on the WHO Nutrition Guidelines Advisory Group and has served on several technical advisory groups and steering committees for global nutrition initiatives. 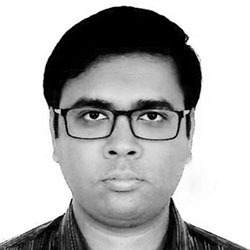 Suronjit joined A&T in January 2019 to execute program activities at the field level. 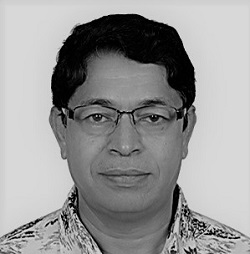 He has 12 years of experience in supporting governments and building capacity of frontline health service providers in maternal/child health and nutrition, adolescent health, and women's reproductive sexual health, Prior to joining A&T, he worked with a variety of national and international development organizations, including DASCOH Bangladesh and CARE Bangladesh. 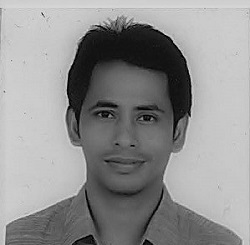 Mihir is responsible for managing the financial and administration operations for A&T in Bangladesh. Over his more than 25-year career, he has had numerous experiences in preparing financial documents and statements, management payroll and tax processes, and providing overall financial monitoring of projects. 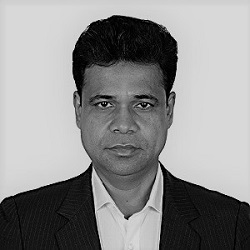 Prior to joining A&T, Mihir worked for more than 16 years with John Snow Inc. (JSI) Bangladesh, on a USAID-funded family planning logistics management project. Hasan has nine years of experience in public health. His focus areas include: health system strengthening, improvement of maternal/child health and nutrition, community case management, acute care management, and managing partners. Prior to joining A&T in January 2019, he worked with a variety of national and international development organizations such as Save the Children in Bangladesh, CARE Bangladesh, and Project Concern International. Santhia has over 12 years of research and program experience in public health nutrition. 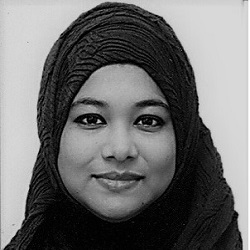 She supports the Country Director in developing and managing the A&T initiative in Bangladesh, as well as provides strategic technical assistance and facilitates partnerships with key stakeholders and the Government of Bangladesh. Prior to her time with A&T, she worked with icddr’b and Save the Children on implementation research and program evaluation in maternal and child health. Tohidul has been working with A&T in Bangladesh for over seven years. Before joining A&T he worked as an accounting and finance officer at Technohaven Company Ltd. In his current role he provides financial, logistical, and administrative support to the project, while also managing the front desk and supporting staff needs. He assists the senior finance and operations managers in documentation and reporting. Idris joined A&T in January 2019 and brings 25 years of experience in program management. Prior to joining A&T, he worked for the Divisional Program of Plan International Bangladesh. He has also managed projects for MaMoni and the Rural Urban Child Migration Migration Project (Save the Children), and the Community Health and Nutrition, Food Security, and Livelihood Projects (Concern Worldwide Bangladesh). Gourob has a strong professional and academic background in qualitative research. For over seven years he has been engaged with different global development and research organizations, including BRAC, BBC Media Action, and the International Centre for Diarrhoeal Disease Research, Bangladesh (icddr,b). 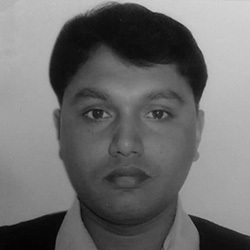 He has professional experience in activity and outcome monitoring of development projects, as well as experience in public health, communication, and social and market research. Gourob joined A&T in December 2018. 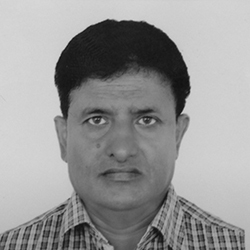 Ruhul brings 24 years of experience in program supervision, monitoring, evaluation and implementation. 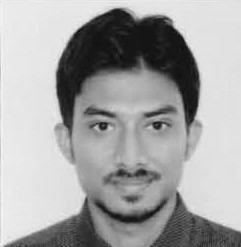 Prior to joining A&T in January, he worked as the Immunization Field Monitor at the World Health Organization, and as an Upazila Coordinator-Health Information System for the MaMoni-Health System Strengthening Project. 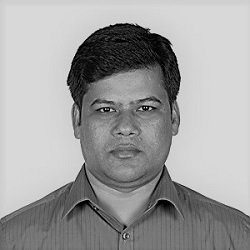 Saydur has over 16 years of work experience public health nutrition, maternal and child health, and health systems strengthening programs in Bangladesh. 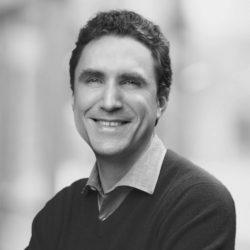 His previous experience includes working on programmatic and operational support for health and nutrition projects for the World Health Organization and FHI 360. In his current position, he serves as a key liaison and manages relationships between A&), the offices of the Government of Bangladesh, development partners, and other stakeholders. 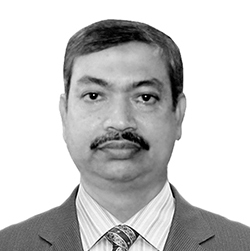 He works to ensure that A&T is an effective technical assistance provider in Bangladesh.